CUSTOMIZE IT!!! This piece can be engraved with any saying you'd like as long as it fits! 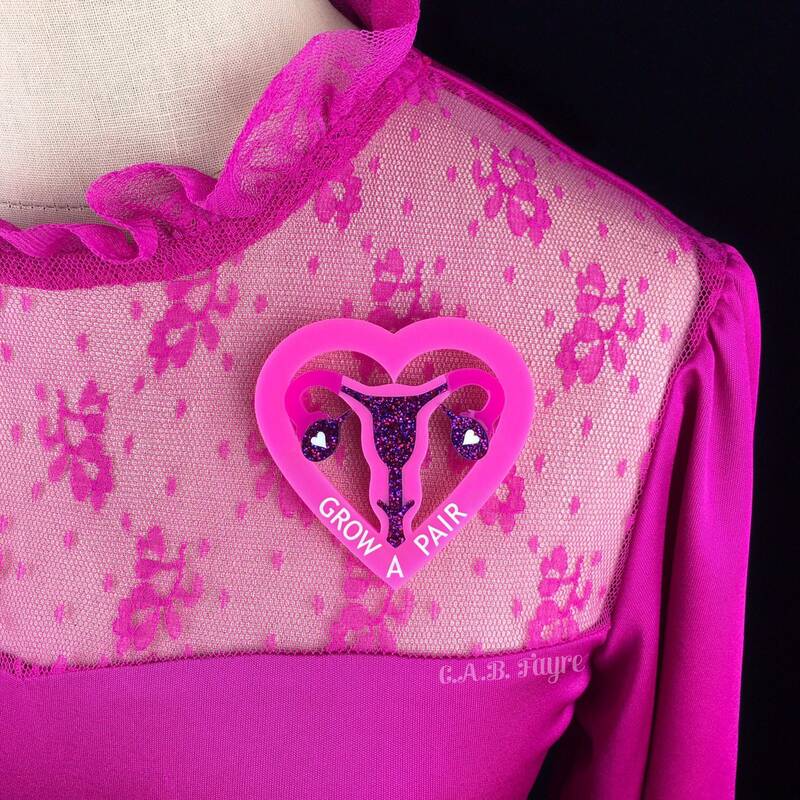 This uterus brooch is the perfect statement piece for any feminist that isn't afraid of being noticed. It's large size and bright pink color with sparkling glitter definitely stands out and screams, "look at me!" 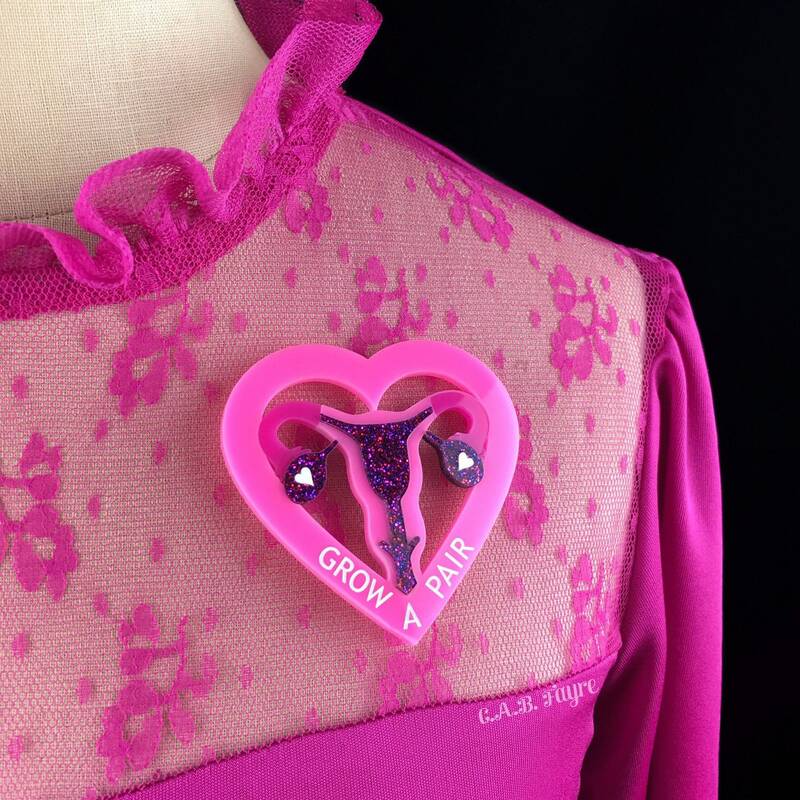 It is not recommended for those that like small dainty jewelry. It is made of laser cut 1/8" thick acrylic that has been pieced together like a puzzle. 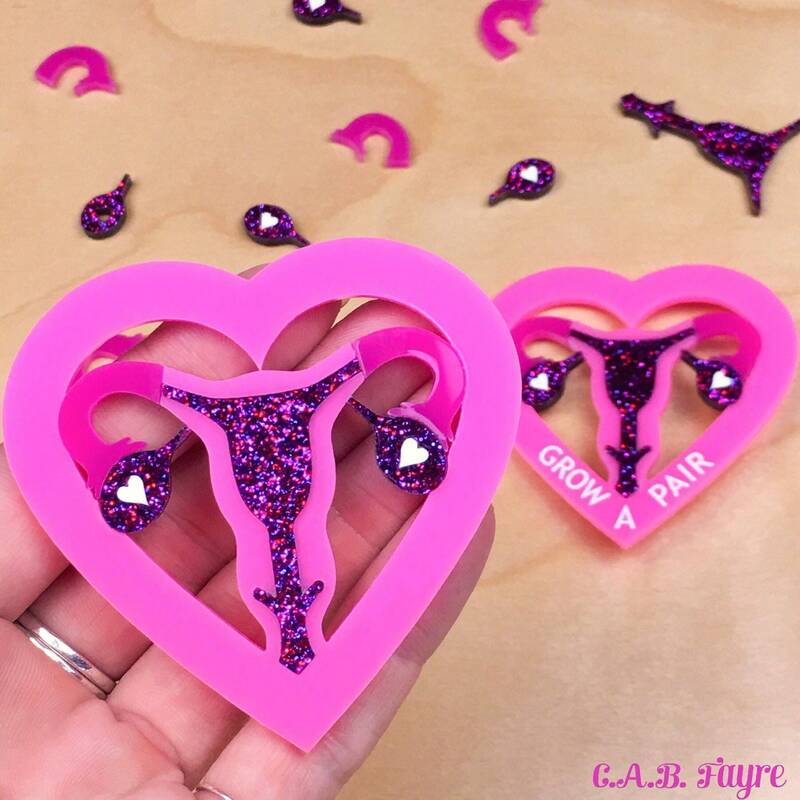 Pin this little uterus to practically anything: clothes, purses, bags, scarves, hats, hair accessories, belts, wedding bouquets, curtains, wreaths, etc!